The most amazing smartphone with multiple accolades around the world. The name Samsung itself signifies its name which never compromises on the quality of the smartphones they provide to their user. The Samsung Galaxy S7 Edge is the best smartphone in the world which you can find till date. This is the seventh smartphone of the Galaxy line with features which you can dream of having it. To buy this smartphone, you have to spend money like water, but you won’t mind paying it if you are a tech geek. The price ranges from Rs 33,000 to 36,000. This is the latest smartphone available in the market right now. You can now see everything virtually with this Oculus Rift VR headset. This will be best suited for this Samsung mobile. You will be able to watch shows and films using this headset with the Showbox movies application from your Android. 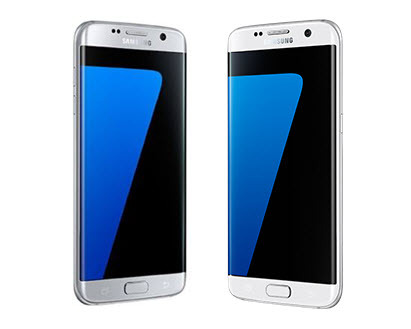 Specification and features –Galaxy S7 Edge is a brilliant device with a water resistant body. The curved back and flat sides of this phone seem to fit perfectly in the hand, but it has some similar features to Galaxy S6 which was launched a year ago. It also has soft round edges with the metal body around it. It has a 5.5-inch display with Super AMOLED display and a Quad-High definition resolution of 1440*2560 pixels. It belongs to an Android era with Marshmallow and a lot of exciting free software which can be a treat for you. It has a multi taskingExynos 8890SoC with 8 CPU cores out of which four of the run at 2.6 GHz and other our run at 1.6G Hz. It is powered by a graphics ARM-Mali T880 and LTE cat support. It has a RAM of 4GB which is beyond excellence and which means it is similar to laptops. It is available in two memory variants of fixed 32 GB or 64GB, and it is expandable up to 200GB which makes me feel excited. It has a most upgraded camera with a 12-megapixel primary sensor and optical image stabilisation. It provides a speed auto focus to capture brighter and original pictures. Verdict- I promise you cannot find a special featured phone on the market like this. The embedded processor in this phone will always make you feel like a multitasker. The memory is expandable up to 200GB which means you will never lack entertainment when needed The camera provided with sensors are smart and brilliant enough to notice your gestures. The design was similar to the Galaxy series phone launched a year ago. I strongly recommend this smartphone to those who need power packed excitement.